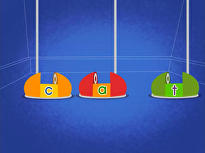 Teach your child the difference between long and short vowels with this fun bingo game. To win this game, he needs to correctly recognise long vowel words, and identify those words on his bingo sheet. 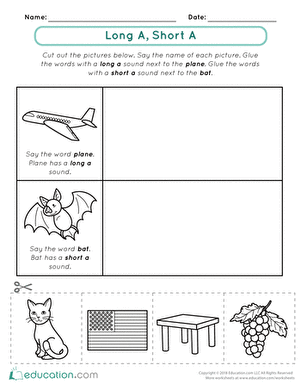 After you're done playing, don't forget to have him colour in his bingo sheet, too! 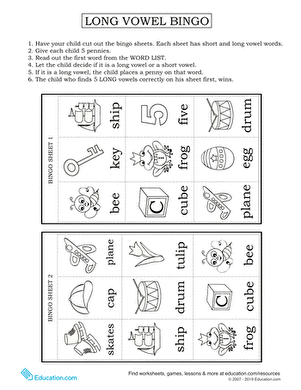 In this worksheet, challenge your preschooler to find the long vowel words! 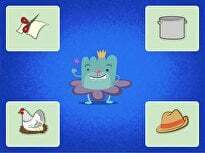 Students will sound out four words and choose which words have a long vowel. 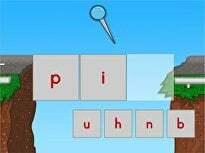 Help your student practise reading and writing words with long vowels. 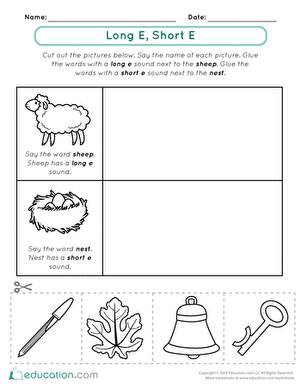 Emergent readers practise distinguishing between long A and short A sounds with this cut-and-paste activity. 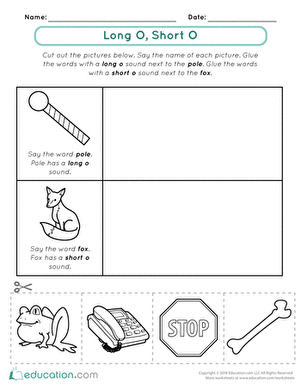 Emergent readers practise distinguishing between long I and short I sounds with this cut-and-paste activity. 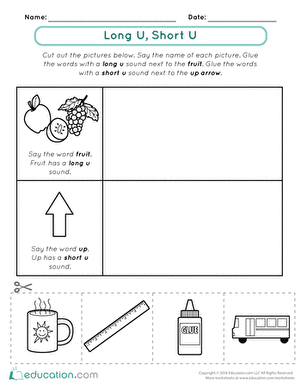 Emergent readers practise distinguishing between long U and short U sounds with this cut-and-paste activity.